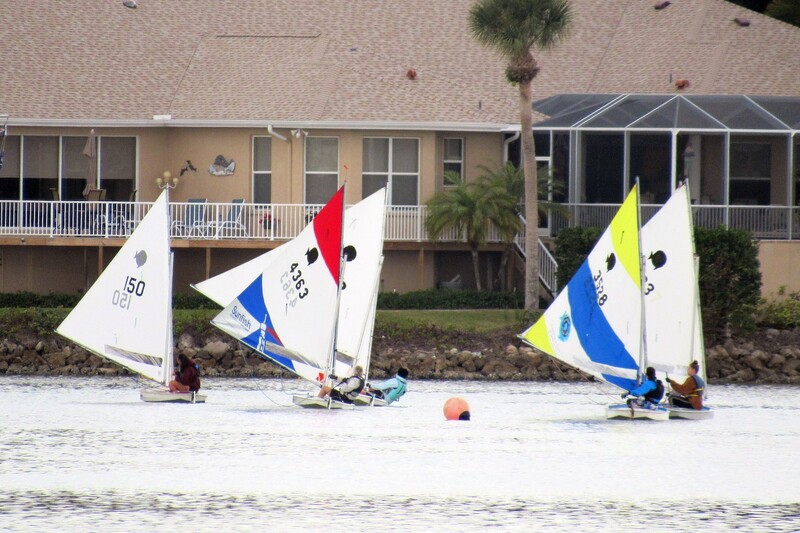 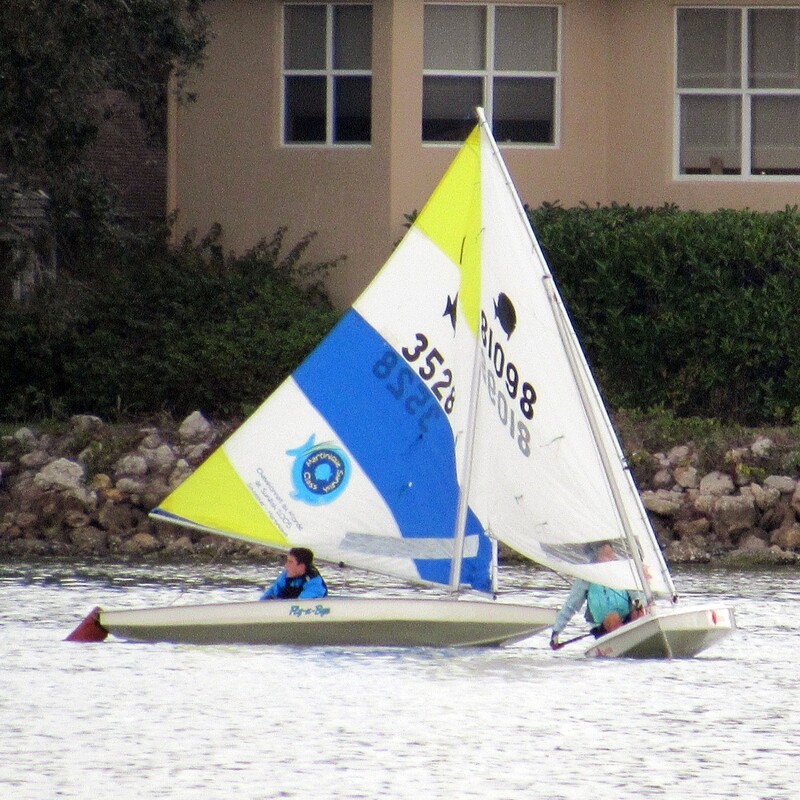 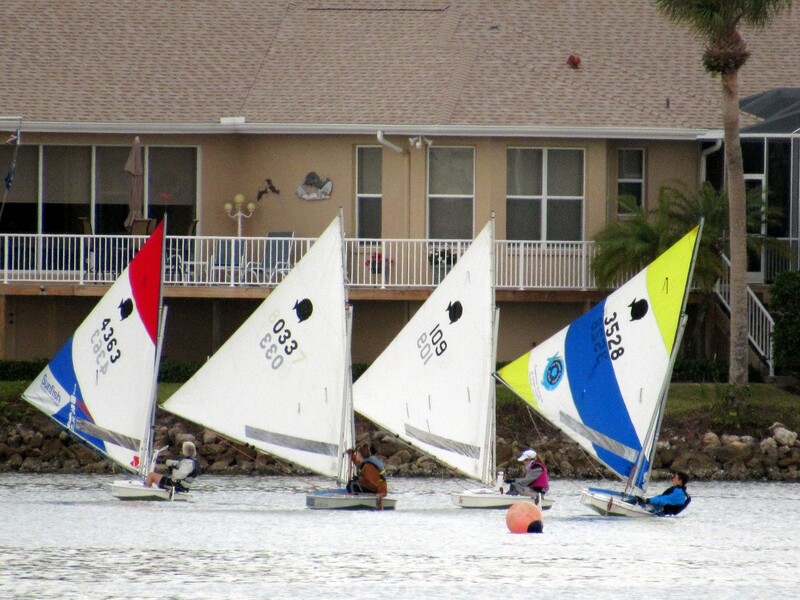 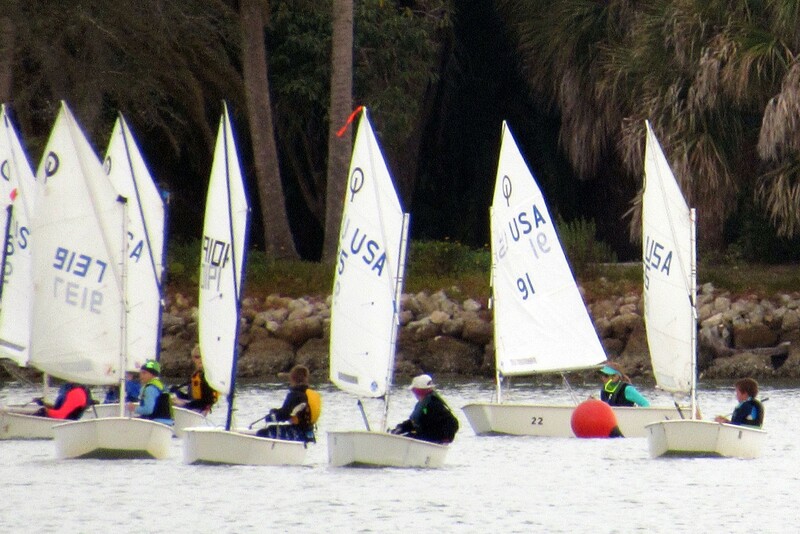 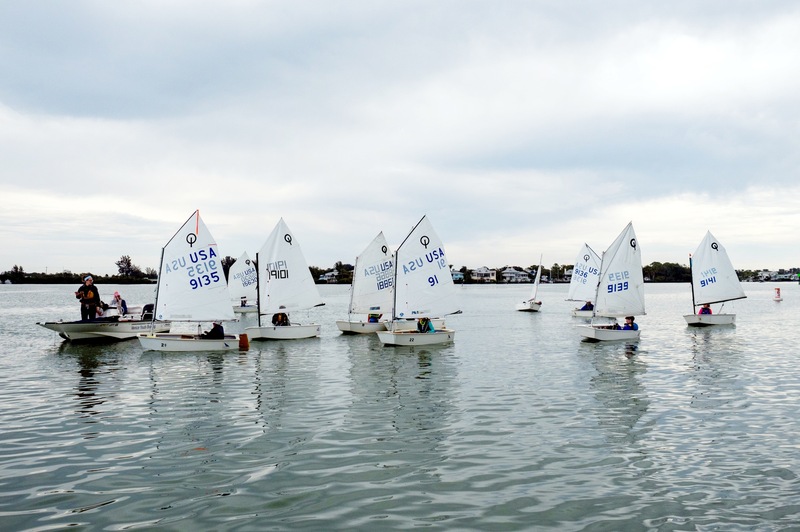 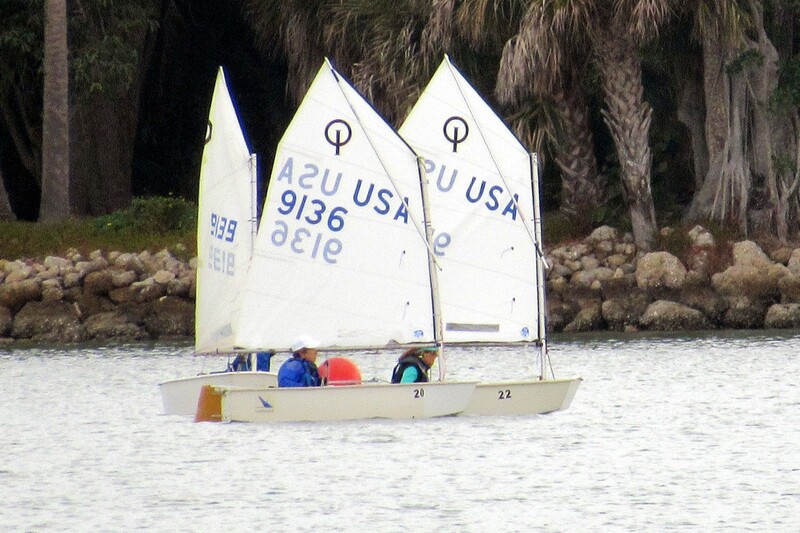 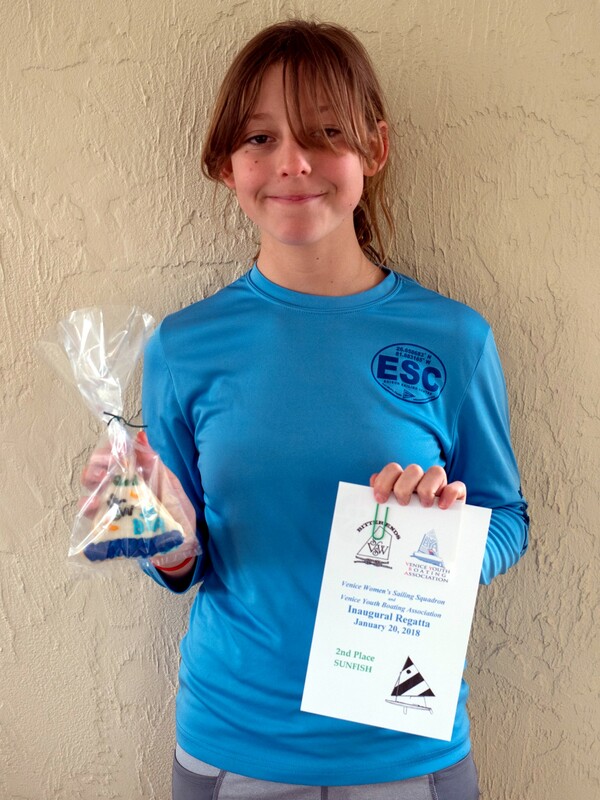 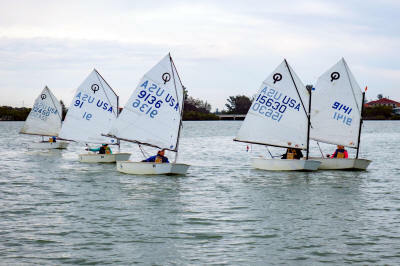 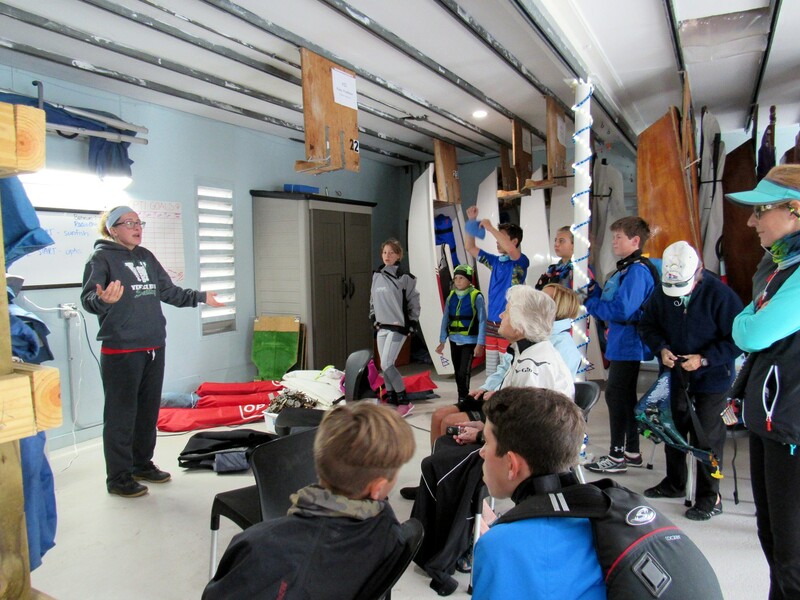 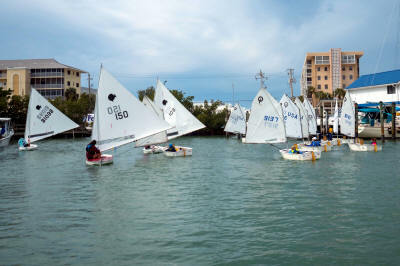 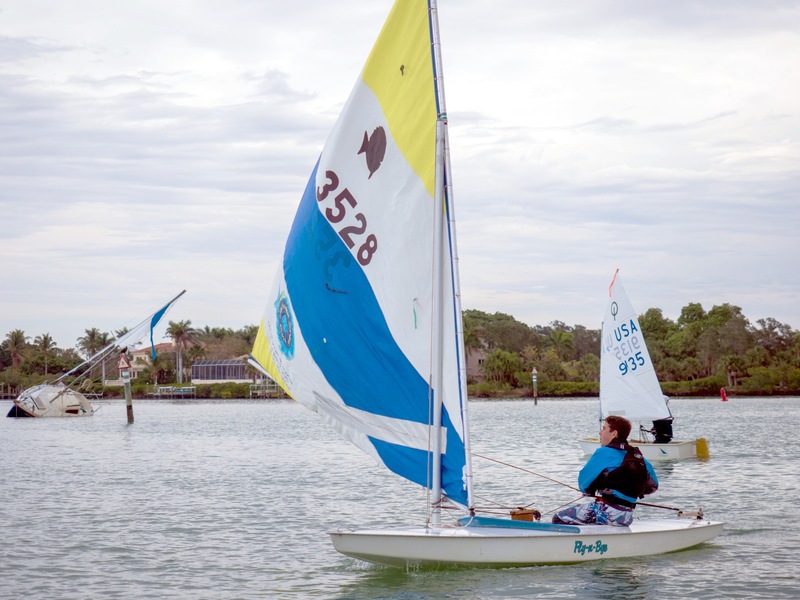 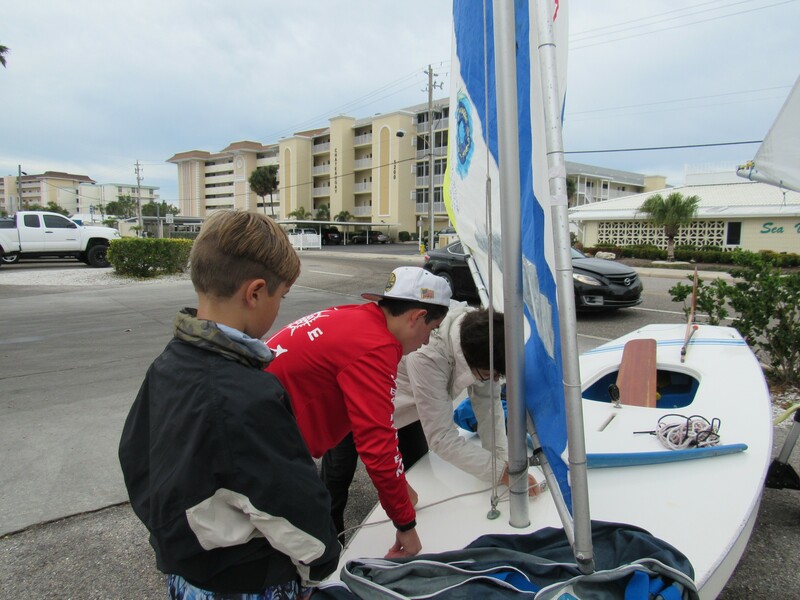 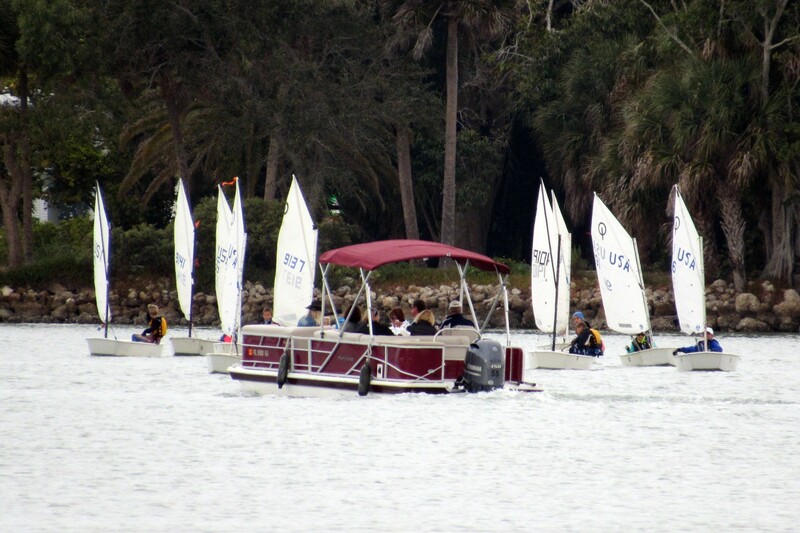 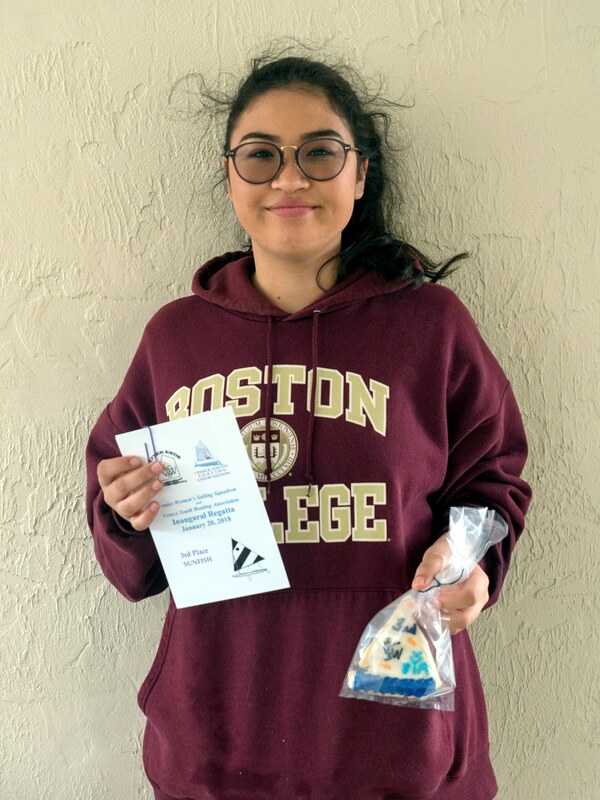 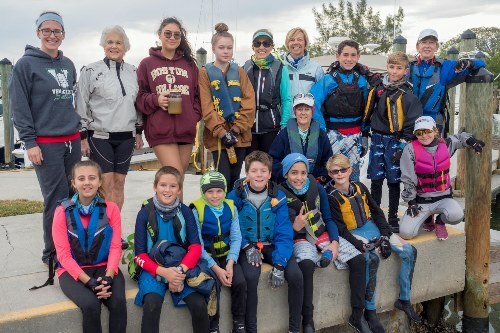 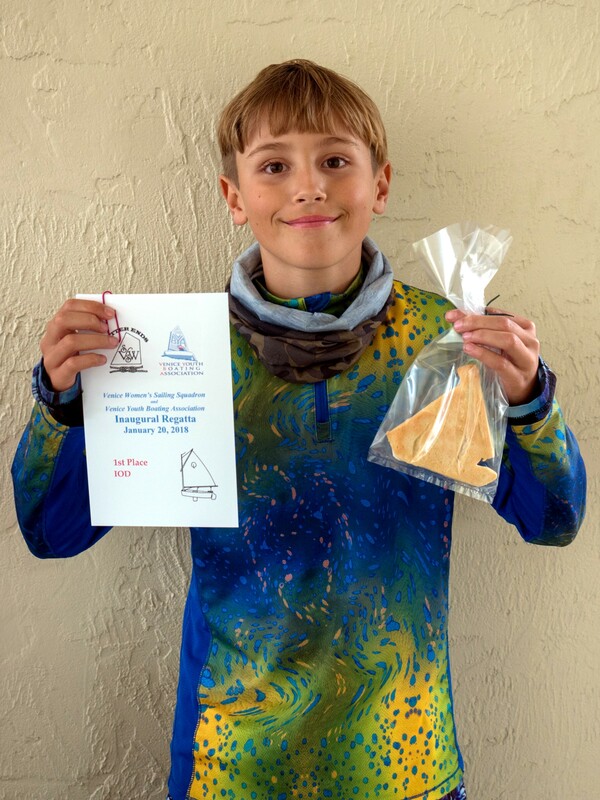 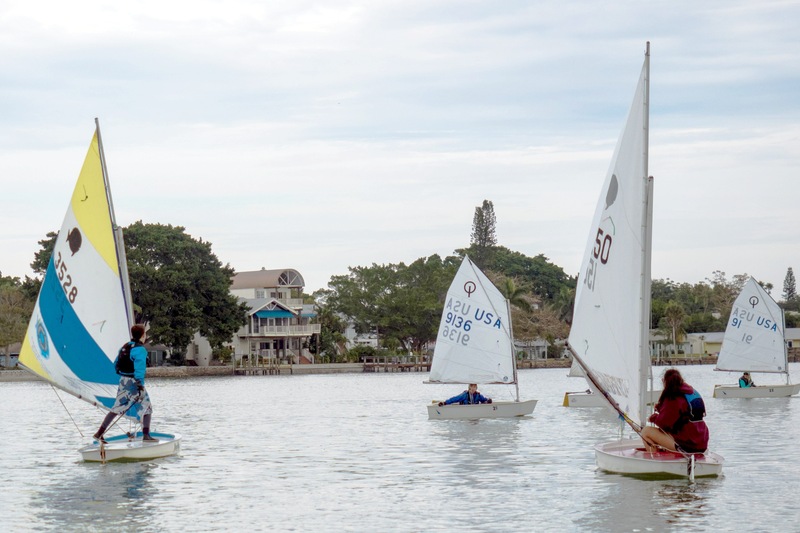 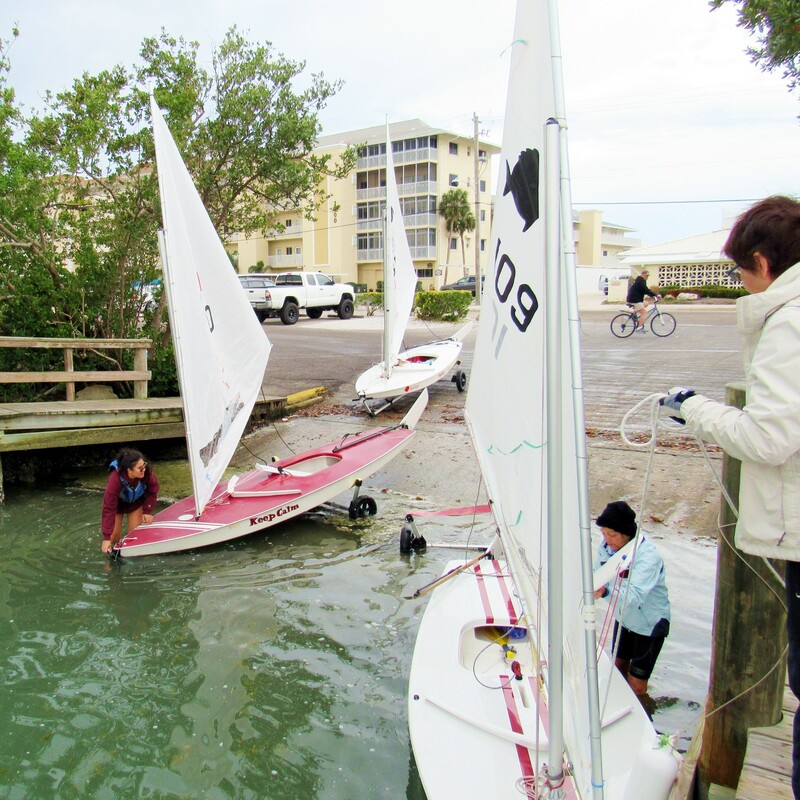 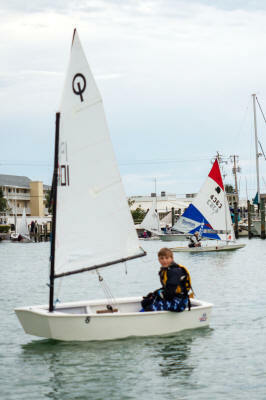 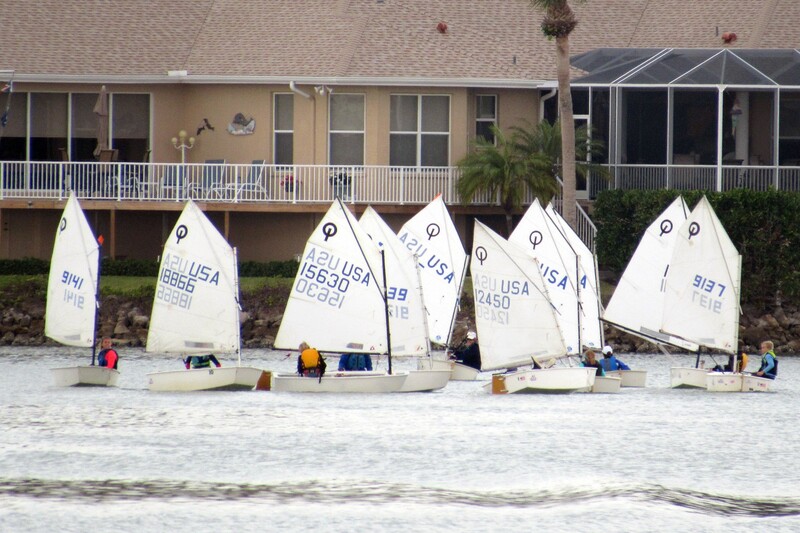 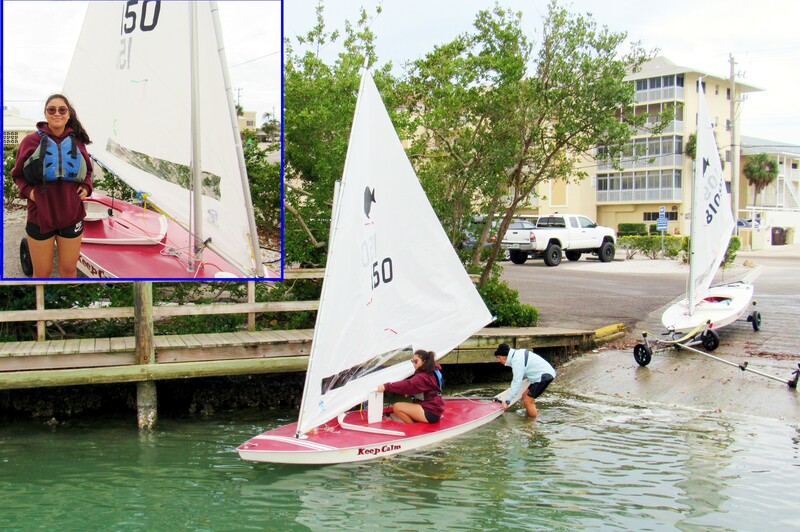 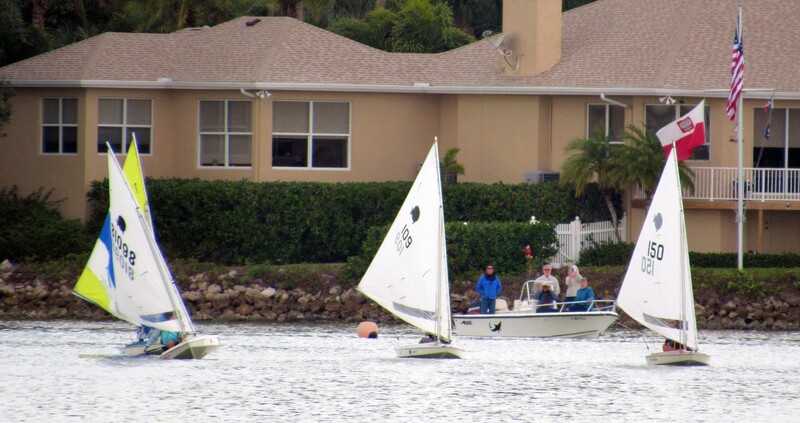 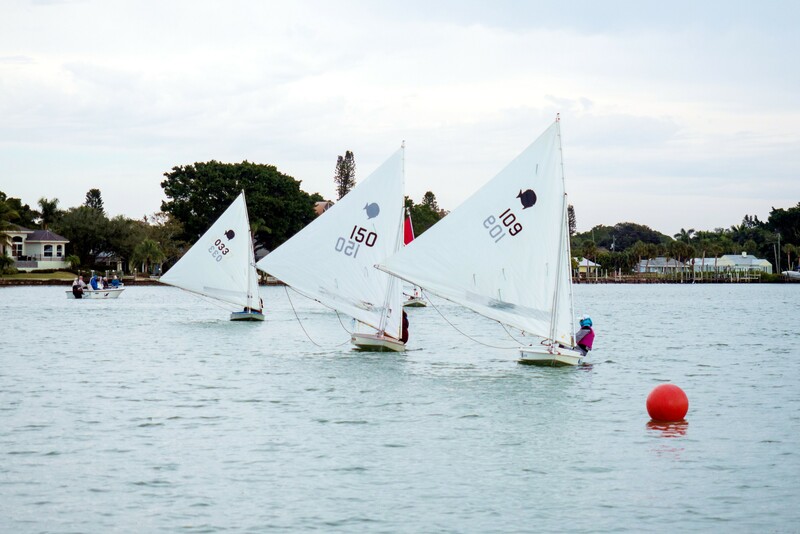 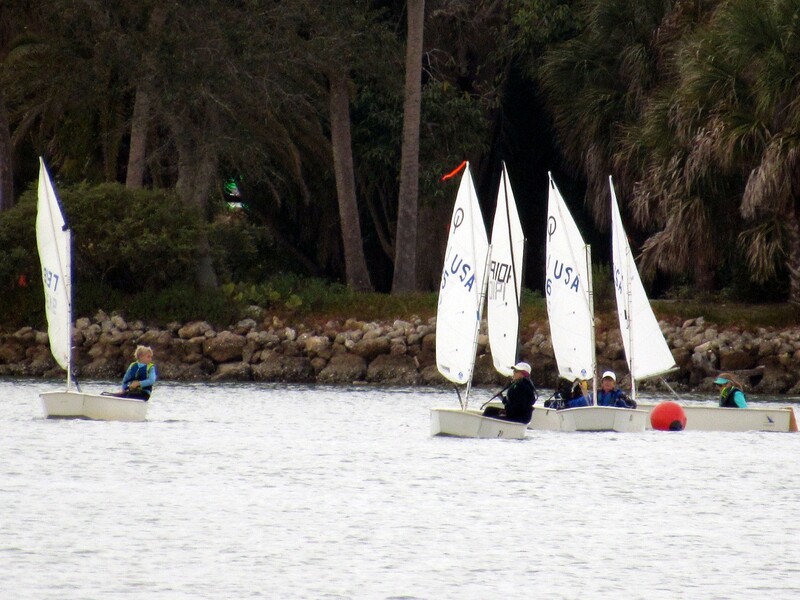 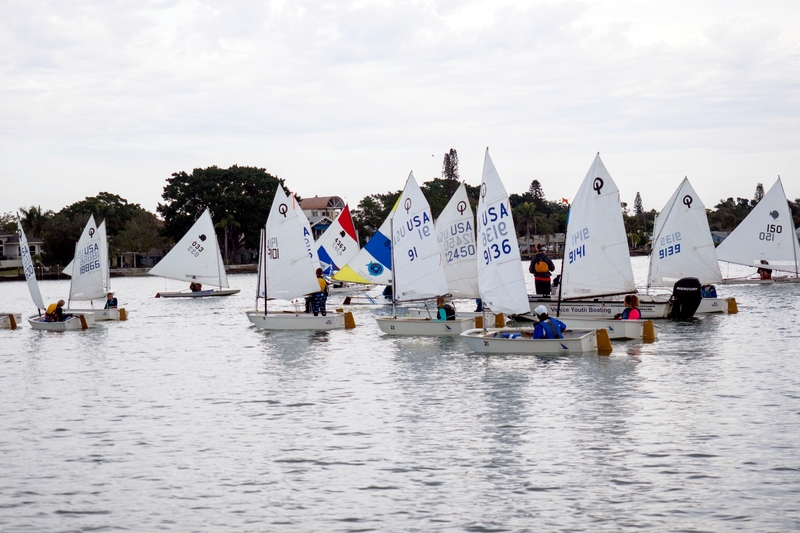 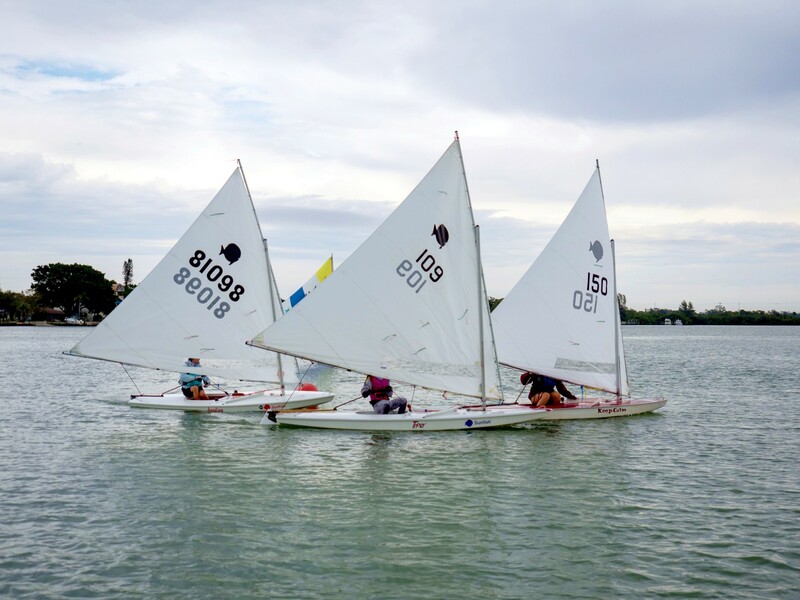 January 2018 First Annual Inaugural Regatta with VYBA (Venice Youth Boating Association) Kids! 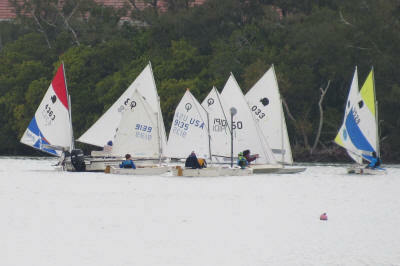 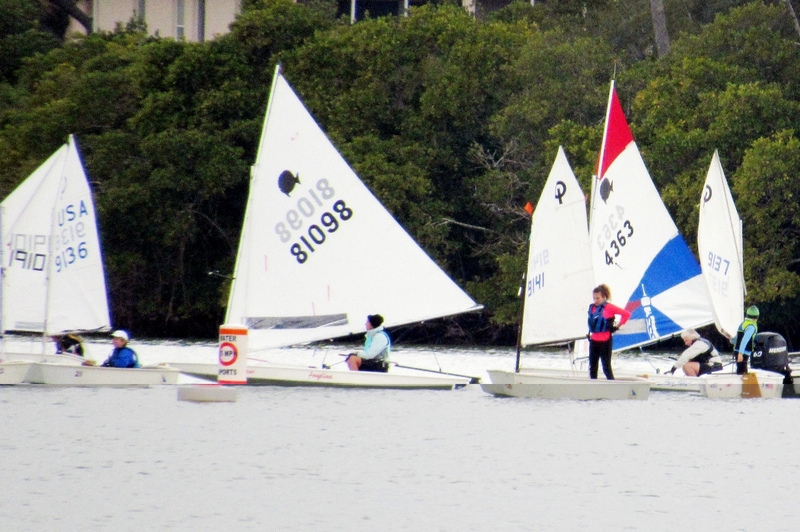 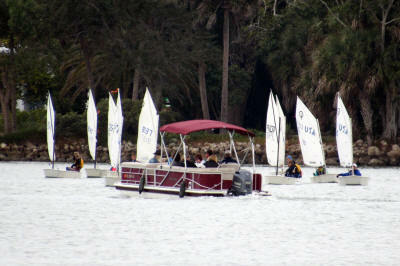 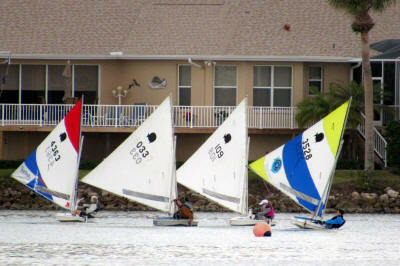 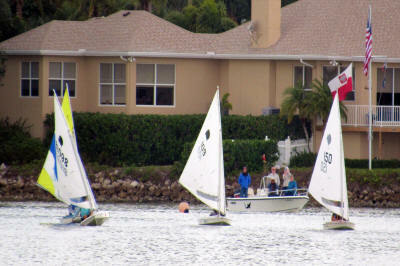 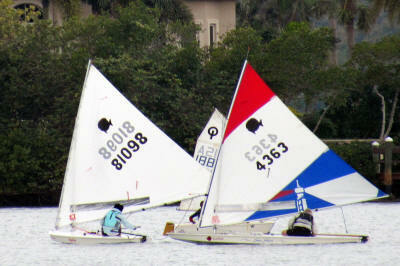 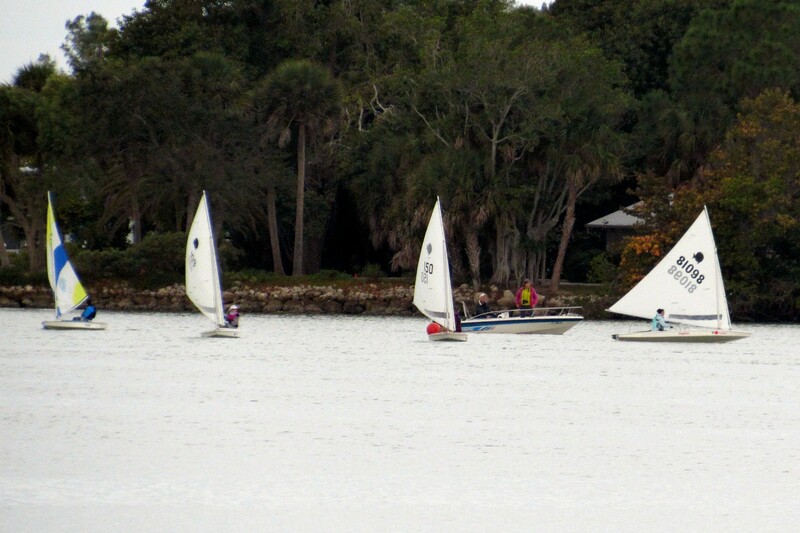 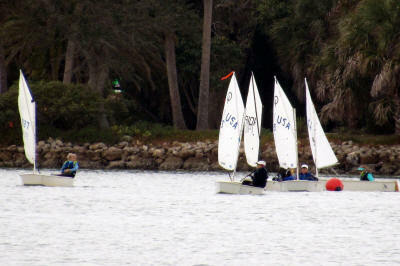 A great time was had by all today at the Inaugural Regatta for VWSS/VYBA. 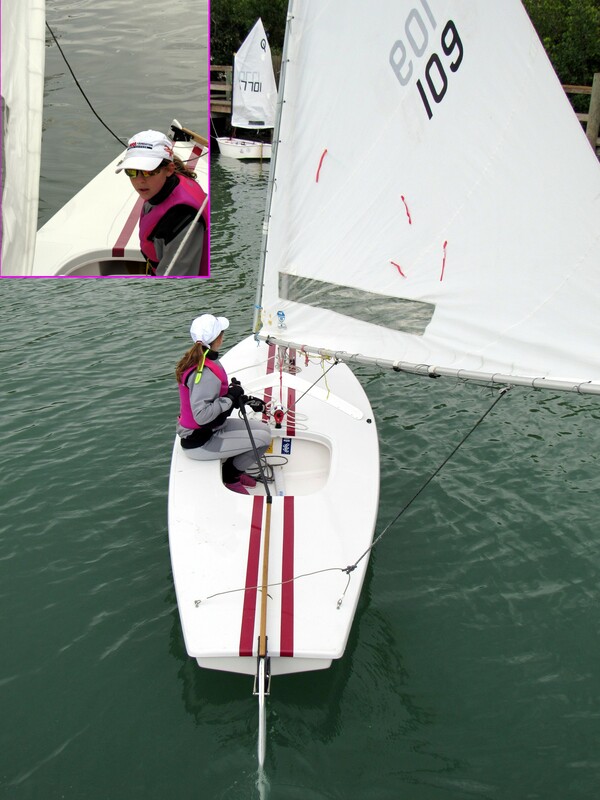 We had 16 competitors and the race was competently run by Principal Race Officer Tara Foster. 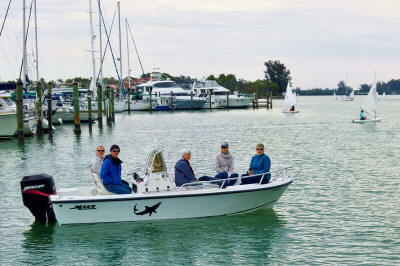 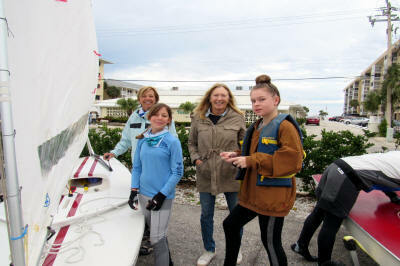 Six Sunfish competed with Shirley Geoffrion and myself representing the Bitter Ends and 4 youth boaters using our rental Sunfish and Cindy Grant's boat. Cindy didn't feel well so didn't sail. 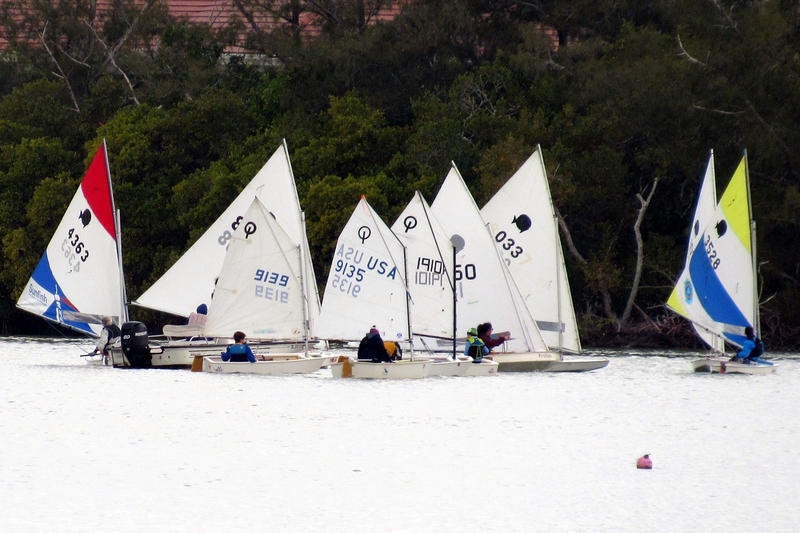 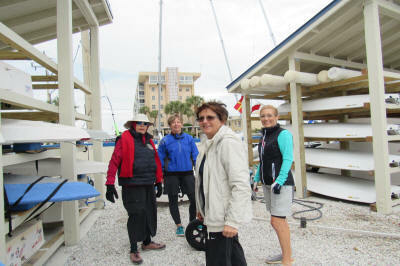 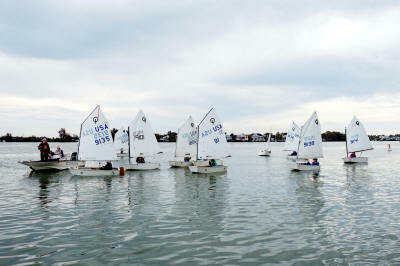 Ten Optis raced with Ann Carroll, newbie Stefanie Dooley and Jill Joos representing the Bitter Ends and 6 youth boaters. Although the weather proved to be quite a bit cooler than predicted and the sun didn't shine any rays until we were almost back at the dock, everyone still enjoyed themselves. 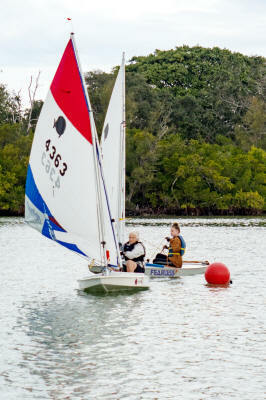 Sylvia Turner was a welcome addition to the RC boat where she served in the position of scorer. 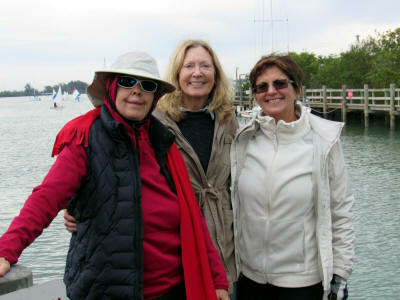 DeDee Connor came to cheer on her fellow Bitter Ends and went out on the spectator boat along with Lois and Jim Stufflebeam. 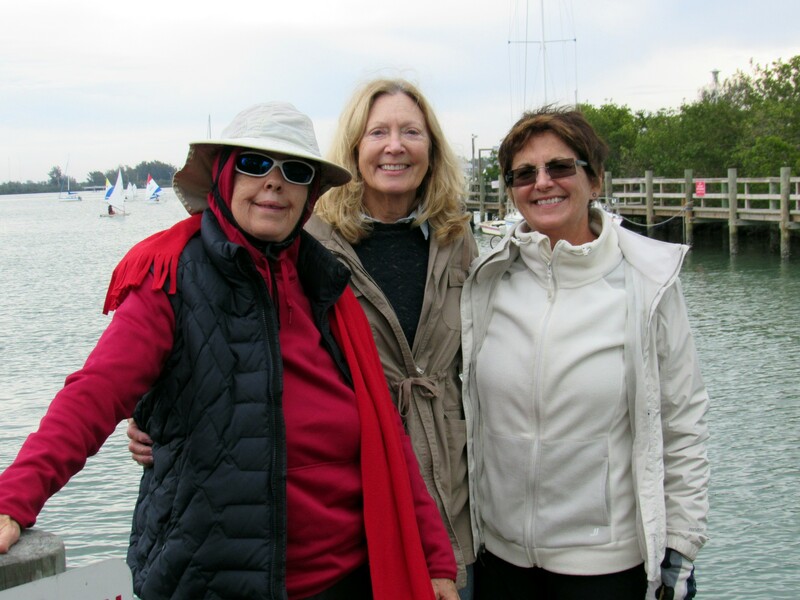 Helping on shore were Nancy Marik, Anne Chotkowski, and Cindy Grant. 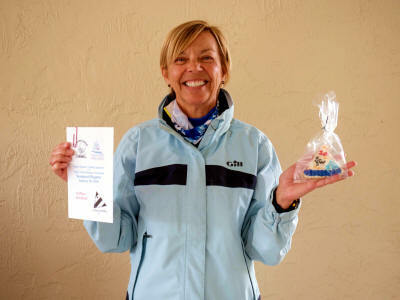 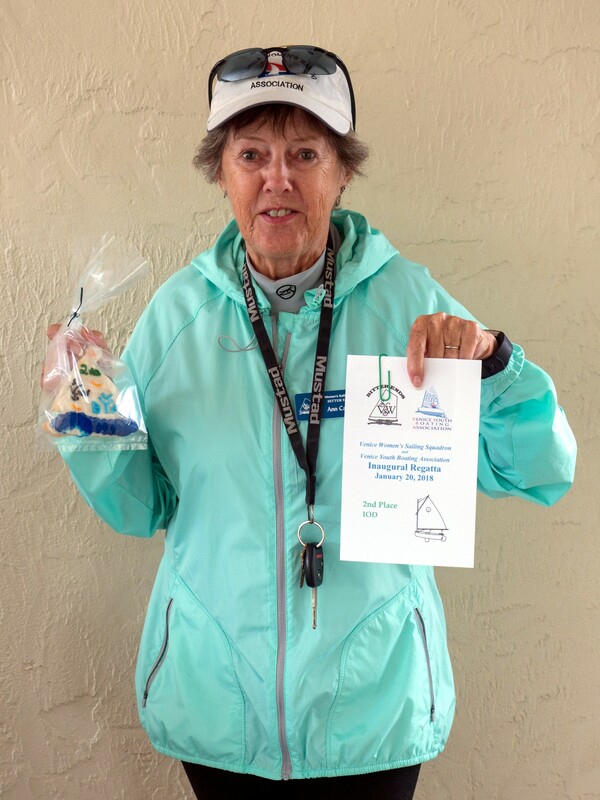 Janet Molen brought brownies at lunch and Carol Miller brought delicious chocolate chip cookies. 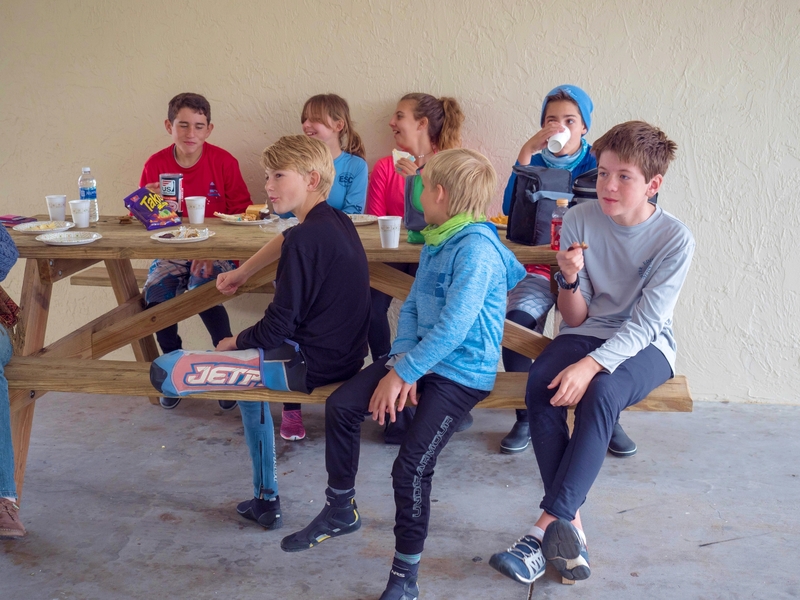 Kids loaded up their plates with brownies, chocolate chip cookies, rice crispy treats, sailboat cookies (a real hit from Jill), and some other assorted desserts. 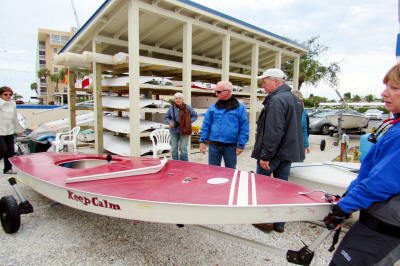 Sunfishers arrive earlier to get boats down! 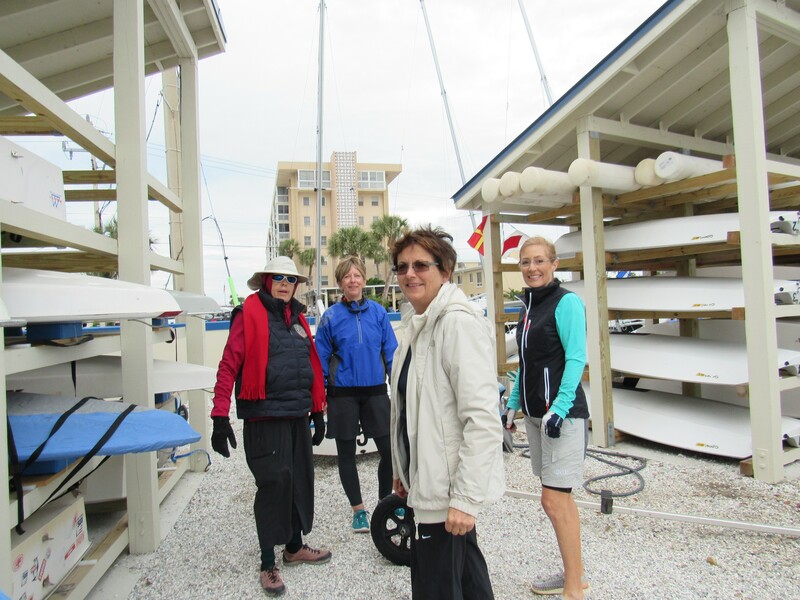 Shore Support by Nancy, Anne, and Cindy! Winners got certificates, cookies, and movie tickets. 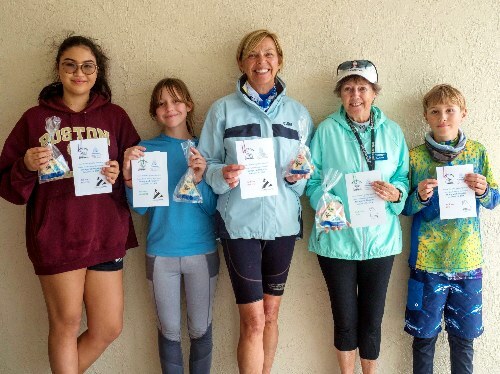 BE Winners gave tickets to kids!